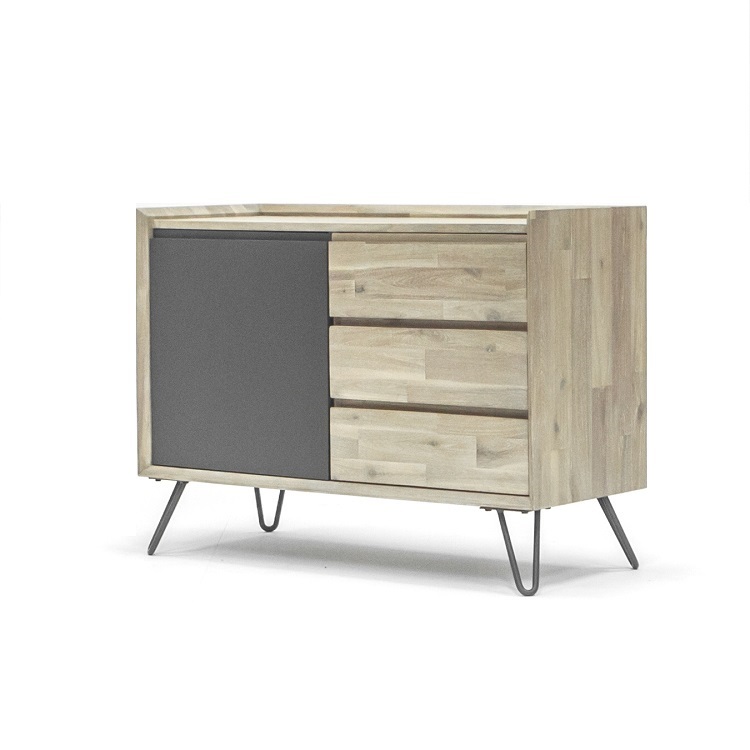 The Tempo buffet, available in acacia wood with grey anthracite legs and accents, is a minimalist, contemporary piece that balances light and dark motifs with ease. 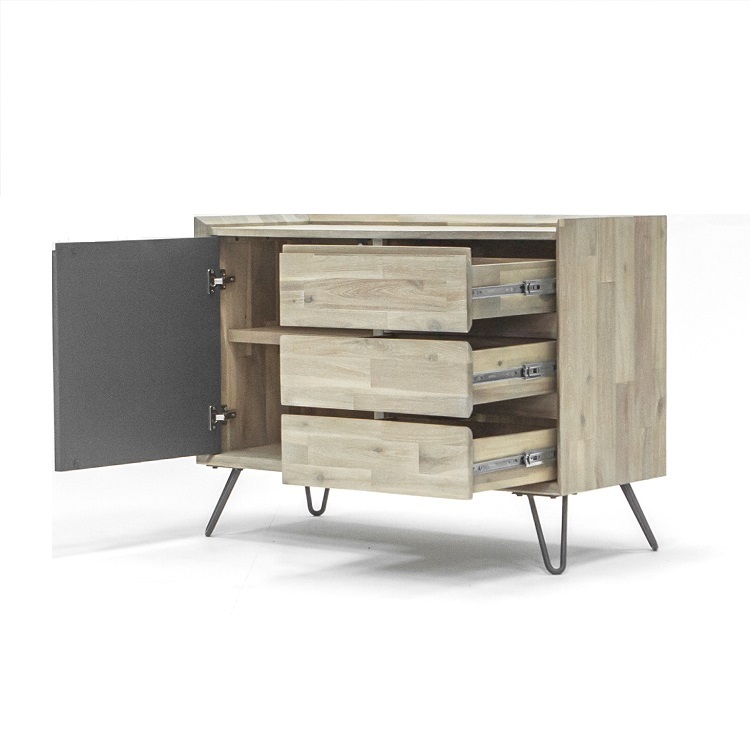 The contrast between the anthracite accents and acacia wood is attractive and eye-catching, distinguishing the Tempo as a versatile yet distinctive piece in terms of design. The buffet has one door and three drawers for roomy and convenient storage. The Tempo dining table and cabinet are also available for purchase.